Gas cooktops can be used in several of our range workstations. Gas ovens however, cannot be hidden inside any units, but if hiding them is not a priority, we can incorporate them into a number of our designs. 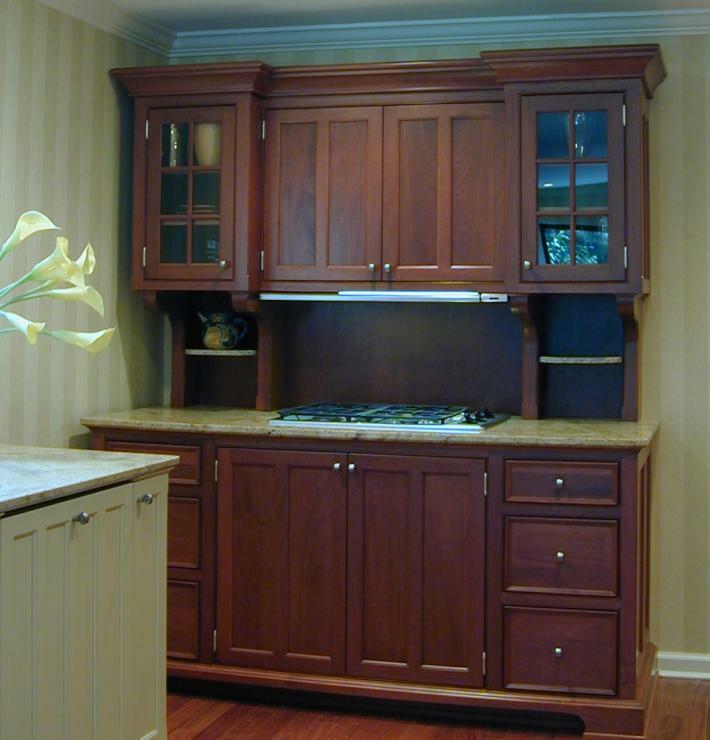 Not shown are Island workstations that can have a gas cooktop with downdraft venting. The TP72-H above B72-C-G (Gas) range shown above is in Hampton’s Mahogany, 76 1/4″W x 30 1/2″D x 87 1/2″H. This unfitted Range contains only a gas cooktop and slide-out exhaust hood. The area under the cooktop contains two huge roll-out trays for pan storage. 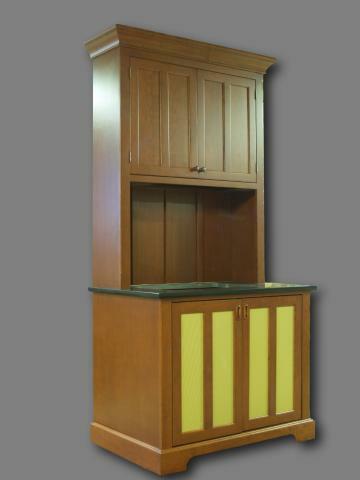 The ovens were concealed in one of our Combination Refrigerator/Oven/Pantry armoires. The concealed, telescoping exhaust hood above the cooktop completes the ‘breakfront’ piece. (A concealed microwave / hood cannot be used above a gas cooktop) Base models can also have built-in electric ovens instead of the storage trays, as shown in the image below. 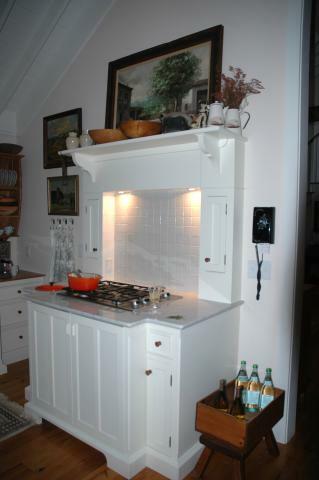 This is a Custom Range featuring a gas cooktop, a remote exhaust fan above and an electric oven below. The base unit is an altered B40-OC-G (gas) with additional custom landing areas attached. The freestanding range shown above is designed to have a gas cooktop, a slide-out hood and a concealed electric wall oven.